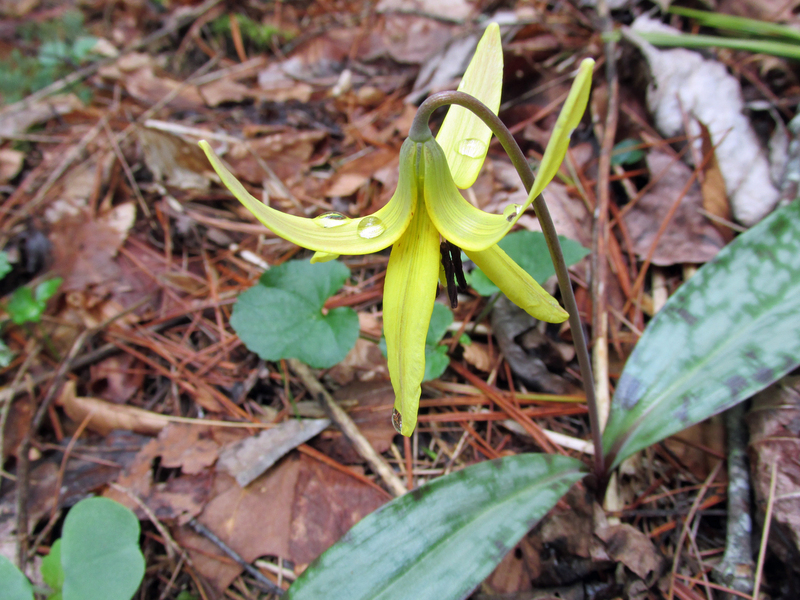 Photo by Bryan Stevens Wildflowers, like this Trout Lily, are always a major draw for the Spring Naturalists Rally. The 57th annual Roan Mountain Spring Naturalists Rally will continue the tradition of offering nature enthusiasts the opportunity to enjoy field trips and engaging programs that cover many aspects of the natural history of Roan Mountain and the surrounding area. The three-day event is scheduled from Friday-Sunday, April 24-April 26. Serving as co-directors for the spring event will be Jennifer Bauer and James Neves. Neves noted that this year’s rally promises many exciting activities. 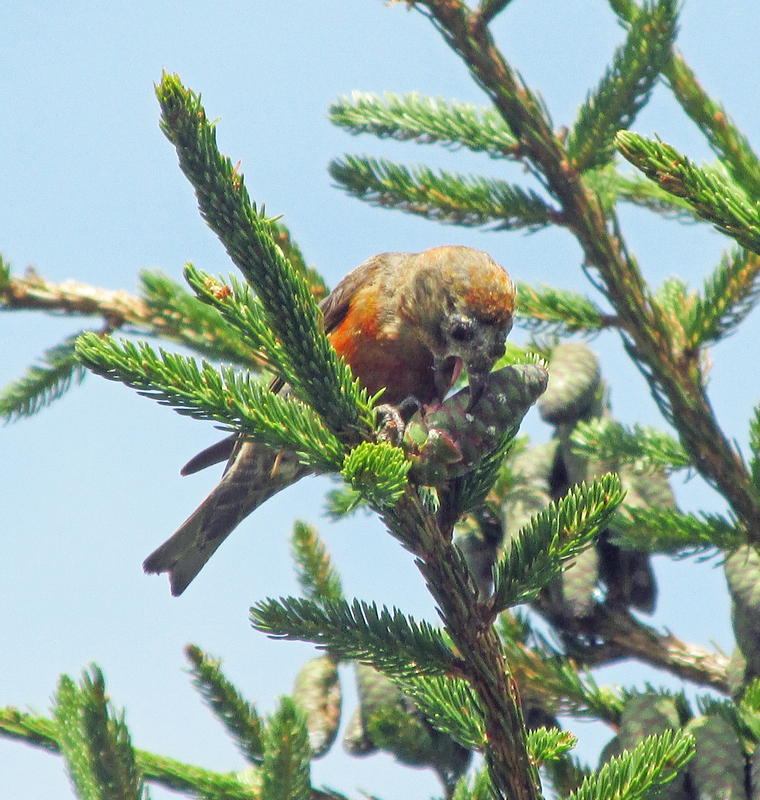 Photo by Bryan Stevens Red Crossbills are among the many species of birds that call Roan home. For the second consecutive year, the rally is being held on the third weekend of April. “We made the switch because the peak bloom of the early spring wildflowers has been trending to earlier dates,” Neves noted. The Roan Mountain State Park’s Conference Center will host programs, meals, information booths and registration, while field trips will leave from the field on the left before entrance to the cabins in the park. Registration will also be available at the field prior to the field trip departures. Neves said Dan Dourson will return to lead his field trip covering land snails and invertebrates on Saturday afternoon. 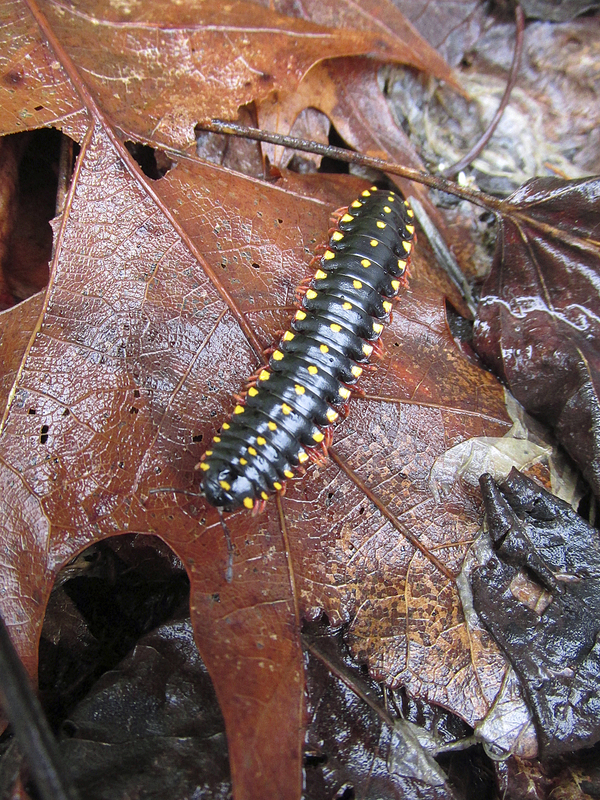 Photo by Bryan Stevens A millipede crawls over wet leaves. Because of the continued support of the Friends of Roan Mountain, the Naturalists Rallies have the resources they need to prosper and grow. The Friends of Roan Mountain also provides support for research and restoration projects on the Roan. “We also thank the staff at Roan Mountain State Park for their time and help in making the rally possible,” Neves said. The Friday evening program will be presented by Randy Hedgepath, who will place the spotlight on the Tennessee River. Hedgepath, State Naturalist for Tennessee State Parks, will present a photographic and narrative program on the watershed of Tennessee’s namesake river. Flowing down from the highest mountains in the eastern United States, our streams make a long journey to the largest river in the country. Along the way are outstanding natural landmarks and a cross section of our history and culture. Travel with the water of the Doe and Watauga in this entertaining program. Hedgepath is a native of West Tennessee where the family farm was just 15 miles from the Tennessee River. After graduating from UT-Martin and working seasonally for several years for the National Park Service, he has spent the last 31 years with state parks. 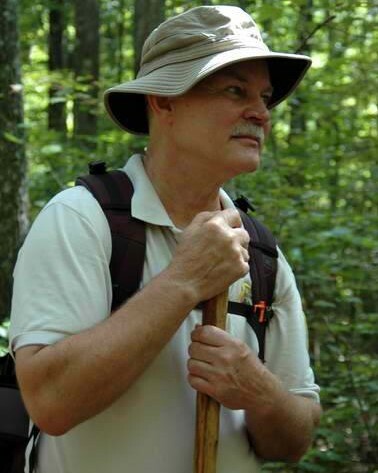 He worked as a ranger/naturalist at South Cumberland State Park on the Cumberland Plateau and at Radnor Lake Natural Area in Nashville until 2007 when he was given the opportunity to be the statewide naturalist for the state park system. Her presentation will describe how flowers use color, scent, shape, and tricks to attract pollinators. Brown is Executive Director of Creasey Mahan Nature Preserve in Goshen, Ky., where she has established a two-acre Woodland Garden that highlights native wildflowers and ferns. The Nature Preserve hosted a record number of 38,000 visitors in 2014. Brown is highly regarded as a lecturer, educator, writer, and photographer. She routinely offers lectures on wildflowers, flora-lore, creating woodland gardens, and gardening with native plants to regional and national groups that include gardeners, college students, and academic audiences. She is co-author and the lead photographer of Bernheim Arboretum and Research Forest, winner of a 2011 Gold Nautilus Book Award, and co-author of the 16-state field guide Wildflowers of Tennessee, the Ohio Valley, and Southern Appalachians, which covers 16 states, 1,250 wildflowers, and presents 800 photographs. 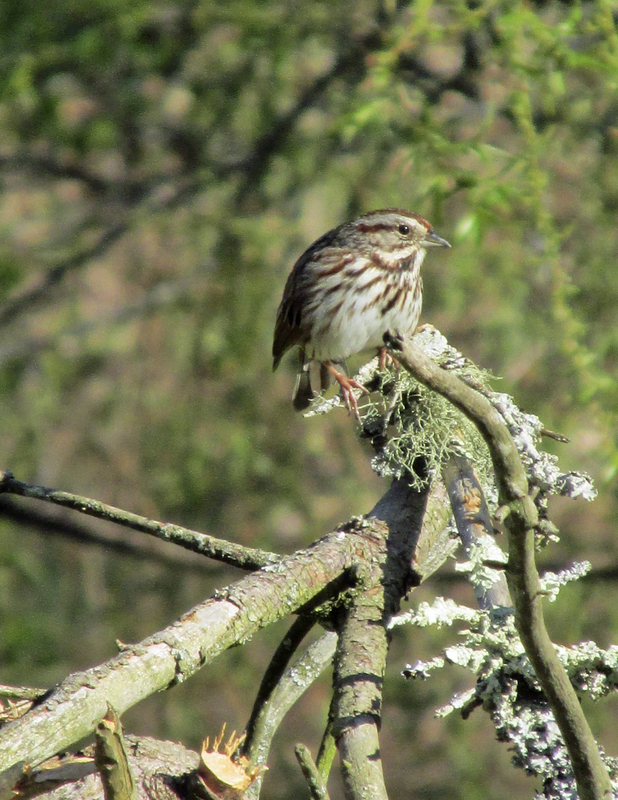 Photo by Bryan Stevens Song Sparrow gets ready to sign from an open perch. She currently is writing and taking photographs for her third book, titled How Flowers Flirt and Flourish – The Tricks and Trials of Floral Reproduction. 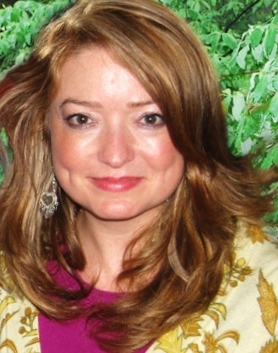 She was selected as “Today’s Woman” in the September 2011 issue of Today’s Woman magazine, is serving her third term on the executive board of the Louisville Audubon Society, and is on the board of the Prospect Area Chamber of Commerce. She considers herself a very lucky woman to be married to Matthew H. Brown. They garden and live on a family farm in Louisville. The rally will kick off with registration at 5:30 p.m., Friday, April 24, at the Roan Mountain State Park Conference Center. Dinner, which will be catered by City Market of Elizabethton, will be served at 6:30 p.m. Hedgepeth’s program on the Tennessee River will commence at 7:30 p.m. Following the evening program, Larry McDaniel and Merrill Lynch will conduct a “Moth Party” to inform participants about these and other nocturnal insects. On Saturday, April 25, a variety of morning and afternoon hikes, programs and activities will be held, focusing on a diverse selection of topics, including birds, snails, wildflowers, butterflies, dragonflies, aquatic insects, geology and much more. On Saturday evening, dinner will once again be held at 6:30 p.m. Brown’s program on wildflower reproduction will commence at 7:30 p.m. Following the evening program, ETSU professor Gary Henson will conduct a “Viewing of the Summer Skies” from the Dave Miller Homestead. In addition, McDaniel and Lynch will conduct another “Moth Party” at the Conference Center. 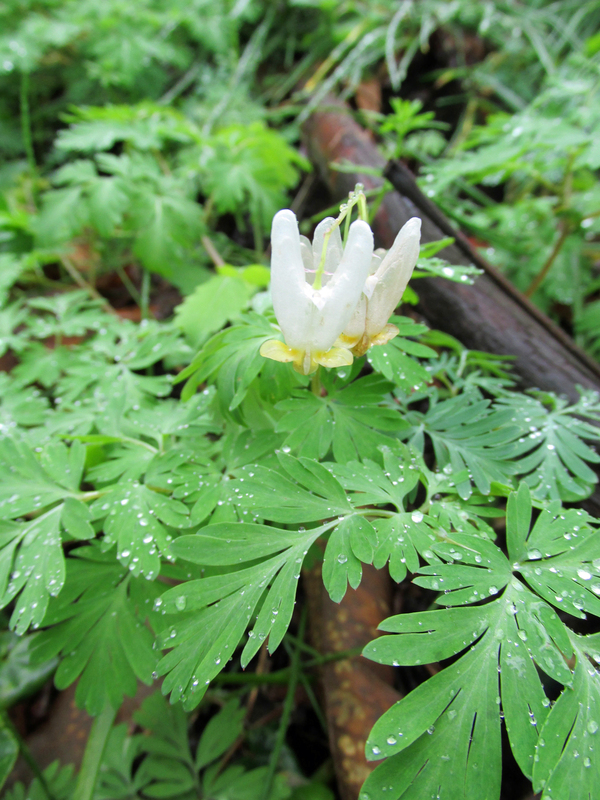 Photo by Bryan Stevens Dutchman’s Breeches are among the many wildflowers that are usually in bloom on the Roan during the annual rally. On Sunday, April 26, field trips will depart/carpool from the field on the left of the cabin area entrance. Morning field trips will start at 8:30 and include Birds of Hampton Creek Cove by James Neves and the Ed Schell Memorial Doe River Gorge Wildflowers & Geology Hike with Gabrielle Zeiger and Mick Whitelaw. Afternoon field trips starting at 2 p.m. will include Salamanders with Dale Ledford and Butterflies and Dragonflies with Don Holt. Pre-paid dinner reservations are necessary and must be received by Tuesday, April 21. Cost for each meal is $9 for adults and $5 for children six and under. The Friday menu consists of Grilled or Breaded Chicken, vegetable selection, salad, bread, dessert and drink. The Saturday menu consists of roast pork or veggie lasagna, vegetable selection, salad, bread, dessert and drink. Sandwich bag lunches for Saturday are available for $6. For a downloadable reservation form, visit http://www.friendsofroanmtn.org/Spring%20Brochure%202015.pdf and mail completed reservation form to Friends of Roan Mountain, Nancy Barrigar, Treasurer, 703 Allen Avenue, Elizabethton, TN 37643. Friends of Roan Mountain members and children can attend all other Rally events at no charge. There is a $5 charge for non-members. For a full schedule of events, visit http://www.tnstateparks.com/parks/about/roan-mountain or call 772-0190. This year’s upcoming Fall Naturalists Rally will celebrate the event’s golden anniversary. The 50th annual Roan Mountain Fall Naturalists Rally will be held Sept. 4-6, 2015. Next year, the 58th Annual Roan Mountain Spring Naturalists Rally will be held April 22-24, 2016. This entry was posted in Birding, Birds, Roan Mountain Spring Naturalists Rally, Uncategorized and tagged Bristol Herald Courier, Carter County Compass, Carter County events, Elizabethton Star, Friends of Roan Mountain, Our Fine Feathered Friends, Roan Mountain Spring Naturalists Rally, Roan Mountain State Park, The Erwin Record on April 19, 2015 by Bryan Stevens.